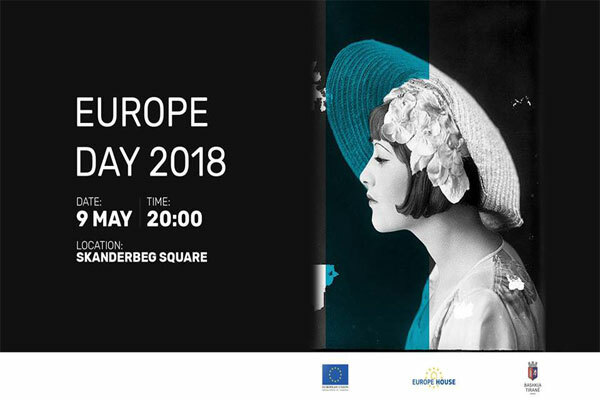 Concert at Skanderbeg Square to celebrate Europe Day 2018 starting at 20:00! EU Delegation to Albania in cooperation with Tirana Municipality have prepared a great artistic programme. Musical programme has been designed by the well known signer Vikena Kamenica and includes performances from soloist Artemisa Mithi, soprano Renisa Laçka, violin soloist Joana Kaimi, Balerina dancers, girls' choir U.A. conducted by Suzana Turku and Orchestra orchestrated by Gerti Druga and led by conductor Gridi Kraja. Celebrations continue with a concert from Marsela Cibukaj, Vitmar Basha and Peter Pan Quartet.